There’s cold outside, and snowy and frosty – and I had unpleasant accident with ice lately. But I dream about spring so I’m making some stuff in green colour. 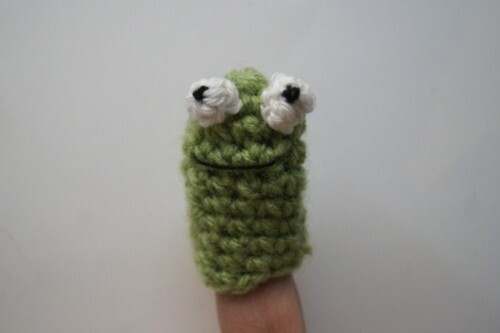 For example frog like that :) If you want to see, how simple is to crochet that – look here,for my tutorial at Craftypantki blog. Idę zerknąć jak ją zrobić.